There’s so much to do in Leeds for families, you’re spoilt for choice! But we know it can get expensive, so here we’ve picked out a few of our favourite FREE things to do with kids in the city. We’d love to hear your favourites too. Head over to the Wharfedale & Craven Mumbler chat group, to share your ideas. The museum is great fun for all the family. Spread over 4 floors, there are interactive exhibitions on natural history, Leeds through the ages, Romans & Egyptians. Plus regular visiting exhibits. Everything’s been designed with children in mind and there is plenty for them to explore, interact with and do. Best of all, it’s FREE. Open Tues-Sun, plus Bank Holidays at Millennium Square, Leeds LS2 8BH. Every Friday morning, there’s a Tiny Tigers club, offering free craft activities for under 5’s and their carers. And every Saturday morning, there’s Rory’s Tiger club offering different craft activities for all ages. Both are free to drop in to. The park is one of the largest in Europe with over 700 acres to explore. There are two lakes, two play areas, tennis courts, numerous fountains and old follies, Japanese Gardens and lots of woodlands to find on your day out. Pack a picnic and you can make a whole day of it. You can find maps with suggested walks around Rounday Park here. There are five car parks located in the following positions: at the south end of the park off Wetherby Road; at the end of Park Avenue by the Lakeside Café; at the west side of the park by the old tram station off Princes Avenue; behind the Roundhay Fox pub off Mansion Lane and at the end of Mansion Lane by the Mansion House Hotel. To the south of the city, Middleton Park is only marginally smaller than Roundhay Park. It has a café, bowling greens, playground, fishing lake and community events held throughout the year. There is also a nature reserve on site, providing opportunities to spot lots of wildlife. Middleton Railway also runs through the park, with the opportunity to spot small steam trains operating on, believe it or not, the worlds oldest working railway! Entry to the Railway’s museum is free, however, there is a small charge to ride the train (children under 3 years travel free). The museum is home to Britain’s national collection of arms and armour. Check out the weapons and armour of warriors through the ages from early medieval knights to the modern-day soldier. In addition to the five galleries which house 5,000 objects in the permanent displays and the more recent Peace Gallery, the museum also includes the Hall of Steel, a life-size elephant covered in battle armour. There are interactive opportunities throughout the museum, making it a great free day out for all the family. Open 7 days a week, 10am-5pm at Armouries Drive, Leeds LS10 1LT. And why not make your trip even more fun by taking the FREE water taxi to the museum. There are 2 pick-up/drop-off points located at Granary Wharf (just by the new South entrance of Leeds train station) & Leeds Dock. They run water every 20 minutes and are completely free. All you need to do is hop on and enjoy the scenic journey. You may have seen the golden owls atop the Civic Hall in Leeds, but what you might not have realised is how significant the birds are. The Coat-of-Arms for the city developed over a long period of time and now features several owls. They actually came from the Coat-of-Arms belonging to Sir John Savile the first Alderman of Leeds. Many of the historic buildings across the city were built with owls featuring within their architecture, and today you can complete a trail across the city to spot them. It will take you on a voyage across history as each owl informs you of why it’s there and gives you a brief snapshot of what it’s seen in its lifetime. You can download the Leeds Owl Trail Map here and make a full day of it hunting them out across the city. Leeds Art Gallery is home to one of the most significant collections of 20th-century British art in the country and offers a changing programme of exhibitions and displays throughout the year, all for free. It also houses Artspace, a relaxed creative space with art materials and activities that explore themes inspired by current exhibitions; go along and draw, build, reflect and play. Visit in school holidays and you’ll often get chance to meet the latest artist-in-residence too. Outside the gallery on Victoria Gardens, there are two giant chess boards set into the pavement and table tennis, which you can use for free until 4.30pm every day. The sanctuary is actually a donkey-assisted interaction centre, offering equine assisted learning sessions for vulnerable children and adults. But they also open to the general public: between 3 pm and 5 pm weekdays (closed Wednesdays) and between 10 am and 3 pm weekends and bank holidays (closed 1st Saturday of each month). The Lines Way is a delightful traffic-free stretch of disused railway line that continues for four miles across South East Leeds. It’s flat, smooth surface makes it an excellent route for a family walk or cycle ride, taking in lovely countryside, passing a nature reserve and an RSPB site, along a river and canal ending at Woodlesford station. For more information on the Lines Way route click here. The skatepark at Woodhouse Moor is one of the larger free skateparks available in the green spaces across the city – made up mainly of quarter pipes and street sections. Plus there are public basketball courts on site too. It can get busy at times and is better suited to experienced skaters but there’s a real community feel here too. The ruins of Kirkstall Abbey date back to the 12th century and are a fantastic place for children to explore and play make-believe. Set in several acres of parkland, you can also take a stroll down by the river or practice riding bikes around the short paved loop. Across the road, there is a free play area and if you’re looking to make a day of it you can visit Abbey House Museum and it’s famous Victorian Street for a small charge. The Tetley houses contemporary art installations across 3 floors in the former brewery building. But it’s far from an adult only art gallery. They pride themselves on being a free, all-ages venue and welcome parents with babies and very young children, as well as teenagers and young people. They offer a range of creative opportunities for young visitors to enjoy including ‘Tiny Tetley’ creative play sessions once a month and Family Art Workshops every other Saturday. Click here for more information on the Young Tetley sessions. Rodley Nature Reserve was created on a floodplain in Kirkstall Valley and houses many different species of wildlife. They offer pond dipping, mini ‘beast’ hunts, some excellent walks around the reserve and an onsite visitor centre and cafe, featuring exhibits of some of the wildlife from around the reserve. Entry is free, as is rental of the pond dipping equipment (although a small donation towards the reserve is always welcomed). Located at Moss Bridge Road, Rodley, Leeds LS13 1HP, its open to the public on Wednesdays, Saturdays and Sundays, plus most Bank Holidays. There is also a bar and kitchen on site. Hunslet Road, Leeds LS10 1JQ. The Arium has a great free playground for younger kids to run around and burn some energy! The play area is extremally spacious and secure with climbing frames, slides, ride on tractors, an excavator and sand-pit. There is a large space with picnic benches and there is an outdoor cafe. 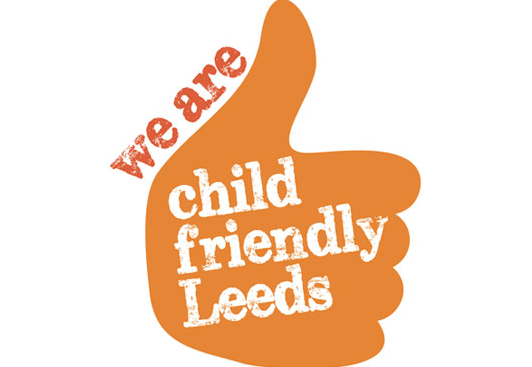 In addition to these ideas, why not try one of our Mumbler tried and tested child-friendly walks or cycle rides for other enjoyable days out with kids in Leeds.